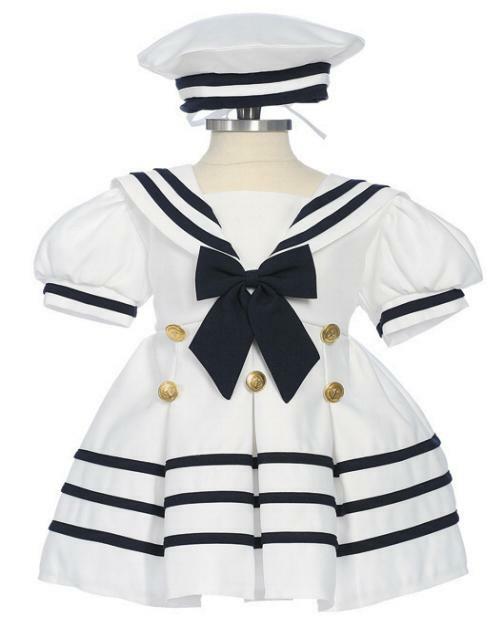 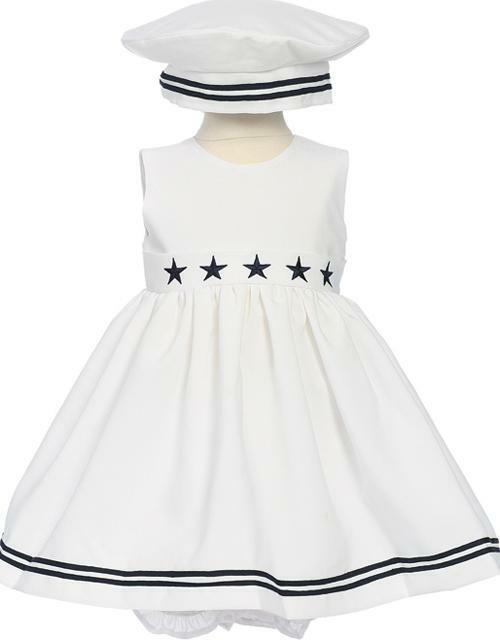 This Girls White Sailor Dress comes in sizes for baby and toddlers. 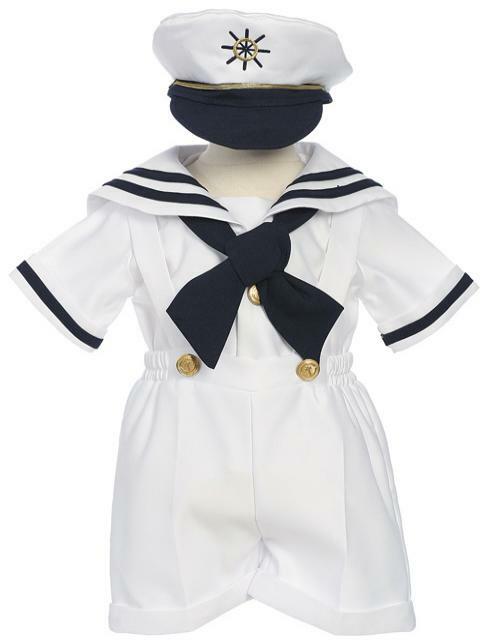 Very well made, it features six gold nautical buttons, and a navy blue bow in front. 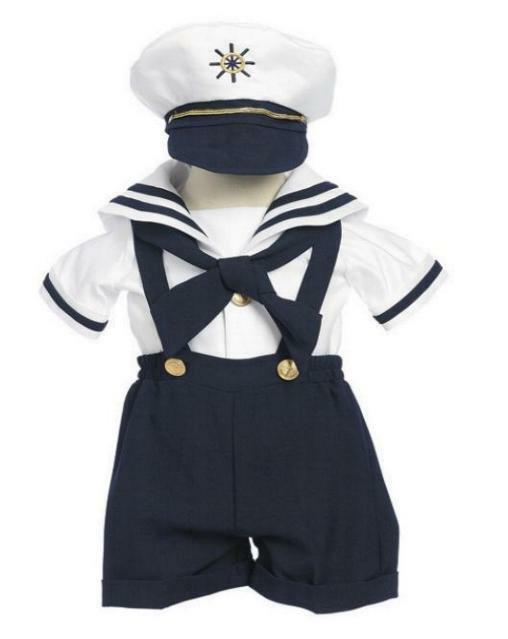 Includes a matching hat.